There is a very good chance that you are, at this very moment, paying too much for your auto insurance. You could get a better rate from another auto insurance company since many companies assign a different point system to the criteria they use to evaluate your premiums. We encourage you to ask your insurance carrier about a discount for taking our defensive driving course. Not all carriers give defensive driving discounts, although many will offer a 10% discount on your auto premium for 3 years. 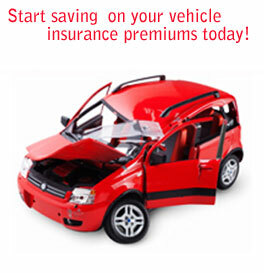 Contact your insurance carrier to learn about their defensive driving discounts. Our insurance reduction course costs $25. How much do I have to submit for GetDefensive.com’s online defensive driving class, and does this price include the mailing cost of the Texas certificate of completion? The costs may vary by format for GetDefensive.com’s Texas online defensive driving courses. The price may be slightly higher if you select the defensive driving DVD or the defensive driving streaming video. For the internet defensive driving class, the price is the lowest possible price under State law, and this includes the mailing of the Texas certificate of completion that will be mailed. I finished a traditional defensive driving classroom program a few years ago, and I am not as familiar with the internet defensive driving courses. How does the GetDefensive.com defensive driving online course work? Basically, there are two (2) types of online defensive driving classes that are available. One is for ticket dismissal and the other is for auto insurance premium reduction. You may sign up for the internet defensive driving class on any computer with internet access, and you are free to start and stop as often as you'd like, and pick up from wherever you left off. The internet defensive driving program is divided into several chapters, and at the end of each chapter you will need to complete a brief, multiple-choice quiz which will help you in preparing for the final exam. Once you satisfactorily finish the final exam, GetDefensive.com will give to you a certificate of completion which will be mailed to you via the mailing method that you choose at the time of registration. It is important that I qualify for some auto insurance premium reduction. Is this feasible when I enroll in GetDefensive.com’s Texas defensive driving internet class? It is feasible. Although we do recommend that you check with your local auto insurance agent before enrolling in the GetDefensive.com defensive driving internet course. We can tell you that many insurance carriers offer reductions of up to 10% to policyholders who successfully take the GetDefensive.com online defensive driving course. Also, customers who pass our internet defensive driving class for ticket dismissal get two (2) copies of his or her certificate of completion--one to present to the court and one to give to his or her auto insurance agent. After I begin the GetDefensive.com defensive driving internet course, am I permitted to change computers if my current computer breaks down? Yes! You are allowed take the GetDefensive.com defensive driving internet class from multiple computers if you have to, but you will need to make sure that each computer is equipped with the flash and browser features that are necessary. GetDefensive.com will run a quick scan on any computer that you log into for the first time to be certain that it has the needed software installed. GetDefensive.com can easily fit into a hectic schedule! I have a short attention span regularly and can get distracted between my family and my work. Am I allowed to start and stop GetDefensive.com’s defensive driving online class, and then resume where I left off? Yes, you can start and stop as necessary when you go through the GetDefensive.com defensive driving internet course. You are not obligated to get through the program all at one time. When you do need to take a break, you can then resume where you left off. GetDefensive.com’s class is flexible, and can be worked into your full schedule! I have to obtain the GetDefensive.com defensive driving online certificate of completion right away in order to keep my Texas driver record clear. Does the court obtain it directly? No. After you have passed GetDefensive.com’s online defensive driving course, GetDefensive.com will mail the completion certificate to the shipping address that you provided when you signed up. Please keep in mind that You will have to take it to the court by or before the court due date. If I take GetDefensive.com’s Texas defensive driving online course, how can I be sure if my recent traffic violation qualifies for ticket dismissal at my local court? GetDefensive.com is 100% approved by every court in the State of Texas for online ticket dismissal. If you are eligible for ticket dismissal, your court will notify you as to when you must finish a defensive driving course. Also, if you successfully complete the GetDefensive.com defensive driving online program, you may be eligible for a 10% auto insurance discount through your insurance carrier; however, we strongly advise that you need to first check with your local auto insurance agent. What are the eligibility requirements for taking the GetDefensive.com defensive driving online course? State Law in Texas restricts you from throwing out more than one (1) traffic ticket every twelve (12) months. If you are not certain as to when you last completed the internet defensive driving program, we strongly advise that you call the traffic court to confirm if you currently are eligible to take GetDefensive.com's defensive driving internet course. What is the purpose of the quizzes in GetDefensive.com’s Texas defensive driving internet class, and do they count toward my final score? At GetDefensive.com, the internet defensive driving class quizzes are designed to get you ready for the defensive driving final examination and they will not count against your overall score in the online defensive driving program. I have to take the GetDefensive.com Texas defensive driving internet course, but is it equivalent to taking a traditional defensive driving program in a classroom setting? GetDefensive.com’s internet defensive driving program is certified by the State of Texas as an equivalent to the traditional defensive driving classroom course. Also, when you take GetDefensive.com's internet defensive driving class, you do not have to plan to attend and sit through any long classroom instruction. The GetDefensive.com program is convenient for an active lifestyle, and you can arrange your own schedule!